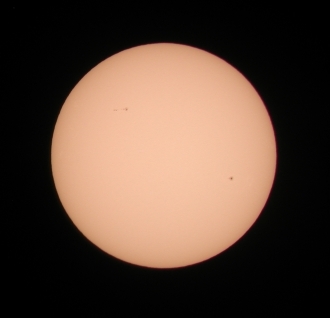 These are my first photos of the sun in 2004. I used my Nikon Coolpix 990 camera with a 40mm eyepiece and my Astroview 120mm Refracting Telescope and Orion sun filter. 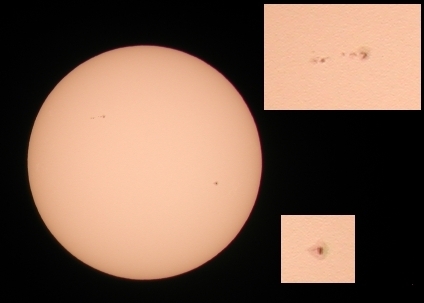 These images were taken at high resolution with a 40mm eyepiece. Time: 4/23/2004 Afternoon PST, one frame.